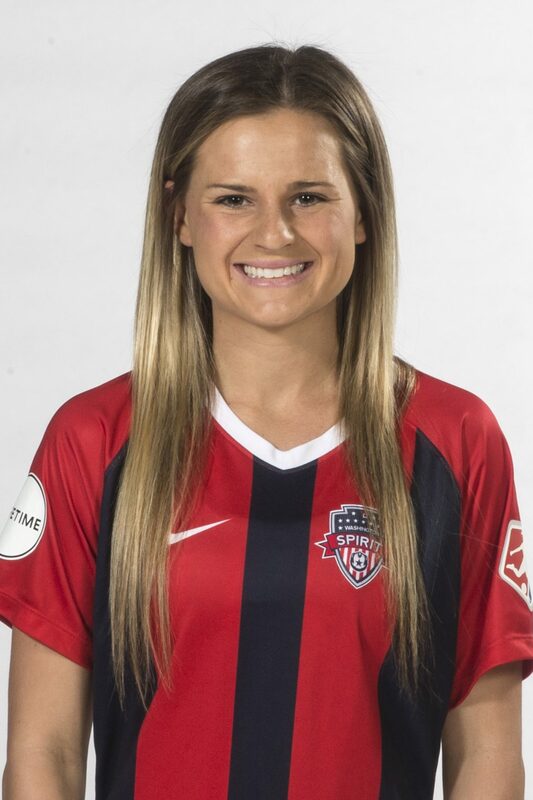 *Drafted by the Spirit with the 8th pick of the 2nd round (17th overall) in the 2019 NWSL College Draft. Feist earned second-team All-ACC honors in 2018 with Wake Forest. She finished her college career with 78 games played and 61 total starts, totaling 54 points on 22 goals and 10 assists. Feist appeared in 78 games, 61 total starts, over a four-year career with Wake Forest. Feist totaled 54 points on 22 goals and 10 assists … 10th-highest scorer in program history with 22 goals, most for a graduated Deacon since 2013… She scored five game-winning goals. Senior Year: Started all 20 games… Led team with 7 goals (5 of her 7 goals came against top 25 opponents), totaled 18 points and 4 assists… Named to the All-ACC second team and United Soccer Coaches All-South Region second team. Sophomore Year: 18 game appearances, starting 10… Scored 5 goals, contributed 2 assists, and 12 points… Scored three goals in the first four games, including the game-winner in the season-opener against San Diego. Freshman Year: 19 game appearances and started 10… Scored 2 goals, created 2 assists, and 6 total points… Scored first collegiate goal against Miami in 3-0 win… Recorded two assists in her first three games, including one each against Georgia and Samford.